Get real-time visibility into your key sales metrics. Select a Salesforce Klip from the Gallery. Use the drop-down menu to Select a Token or Create a new OAuth token. 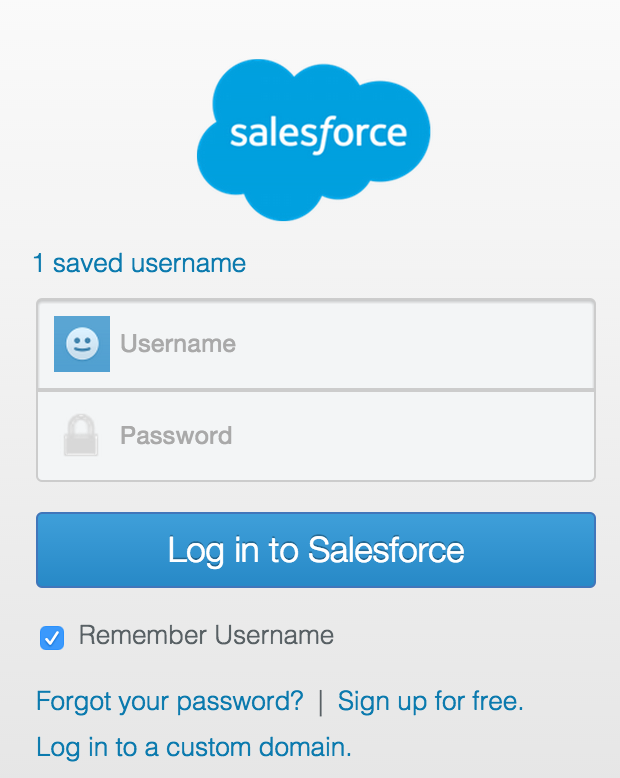 To create a new OAuth token, log into your Salesforce account in the pop-up window. You now have an OAuth token. For example, George @ Salesforce. Tip: Your Salesforce OAuth token will expire after 60 days. To learn more, see Managing OAuth Tokens. Troubleshooting tip: Why is my map Klip blank? Because there is no default format of country codes and state codes in Salesforce, Klipfolio uses the state postal code format. If there is a mismatch between the state postal code format that Klipfolio uses and the country code format you use in your Salesforce account, your map Klip may be blank.